With GDC 2014 well underway and Nintendo taking an active role with presentations and playable games, Nintendo of America has taken the chance to release some new, Wii U-focused trailers for some of the home console's eShop games on show at the event. Five trailers have been posted so far in this burst of activity, and some are brand new and show off some GamePad and system-specific features. You can check out all five below, with each of these games certainly worth watching closely as their releases creep ever closer. Let us know what you think — do you have a favourite out of these that's top of your Wii U eShop wishlist? Nihilumbra and Teslagrad look interesting. ^ What he said too. ^ ^ What both of them said. Who needs 3rd parties when u have these great indie titles??? snore more (non-exclusive*) indie games--wake me when Nintendo decides to take the U--and its fans--seriously. *The major sticking point is the lack of exclusivity. Cubeman 2, with its crossover play with PC, is the game I'm most looking forward to. I still want some RELEASE DATES though. I'll be grabbing Armillo, Stick it to The Man and Teslagrad on Steam. I didn't care for Cubemen on iOS, but Nihilumbria is great for those whom haven't tried it on other platforms as of yet. 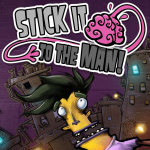 Stick it to the Man looks very innovative and kinda... Ghost Trick-y. I was sold on Teslagrad and Nihilumbra ages ago, so they can come already. Now even Armillo looks much better than ever and seems fun. Cubemen 2 is the only one I'm not so sure about (where's Cubemen 1?) but with a demo or video series explaining the game mechanics I'd consider it as well. @ECMIM Would you rather not have these not-WiiU exclusive games be on the WiiU at all then? If anything it shows how much of a staggering amount of these eShop games are coming to the WiiU. Abeit exclusive or otherwise. WOW, those last 3 were excellent! Teslagrad looks like the next 2d Metroid!! 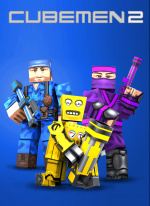 Also will keep my eye out for Cubemen 2 as it looks crazy fun! Nihilumbra looks to also be good fun! So excited for the Wii U eshops future! @XCWarrior Exactly! This game feels like an action-packed Minecraft. @kensredemption Mark my words, Indie games will be the shovelware of this generation. Watch. I'm still waiting for a non-Metriodvania title to hit eShop, and thankfully 3 out of 5 titles fill the void somewhat. All these indies have made the drought irrelevant for me, keep it up, release dates for Teslagrad and nihilumbra? also whats up with Two brothers, PierSolar HD,? Nintendo where my Minish cap? @ECMIM armillo is an exclusive. @faint Ahem. It's actually a timed exclusive. @Spuratis nope batman black gate hd comes out near the beginning of April. I think Spider-Man 2 and Lego hobbit are also coming out in April tho not to excited about those. Cool. Stick it to the man looks quite creepy I'm still more excited about that survival horror game Forgotten Memories but I have no idea when it's going to arrive. Psychoz Interactive still has no news about that. I have Nihilumbra and Teslagrad on Steam, Nihilumbra is okay, but I would totally recommend Teslagrad. Great puzzle platformer with a beautiful hand-drawn art style.- only Metroid-vania-ish in that in order to achieve 100%, you need to retrace some steps and explore old areas again. It's definitely worth it. @Captain_Toad @Juma009 all things are timed exclusives. right now it is an exclusive. He was pointing out how these titles are meaningless because you can get then elsewhere. Maybe six months from now but untill then yes it counts. @XCWarrior The 3DS still has exclusives. (From both big and small developers). Ports have always been rubbish - overall quality is sacrificed for portability. (Ports from the Xbone / PS4 will be even worse). @unrandomsam Always is a bad word to use. Gunman Clive was ported from Mobile well, as was Puzzle and Dragons in Japan so far. Often, sure. Majority of the time, probably. But not always. And don't worry, WiiU will be getting about 3 ports from XB1/PS4 a year... and I might be about 4-5 games too optimistic in my guess of 3 per year. 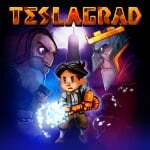 Oho, Teslagrad! You start to impress me! And I love the visual style of Nihilumbra, I just don't know how the gameplay works out. Cubemen had me worried at first (oh god, not ANOTHER Minecraft clone! ), but actually looks intruiging as well. But Stick It To The Man isn't really my cup of tea - though it seems good nonetheless. The real problem is price the e-shop is almost always more expensive than alternative stores like steam once they sort that out I'm game. Definitely getting Teslagrad. I've already played Nihilumbra on PC, but it's pretty good, and it'll be a great fit for the GamePad. Stick It To The Man reminds me pretty heavily of Psychonauts, which is never a bad thing, so I'll probably have to get it, too. Oh wow! These look really fun. Definitely getting Armillo, Stick it to the Man, Nihilumbra, and Teslagrad. Kinda interested in Cubemen 2, but will wait for more information on it. Haters gonna hate. I am a player and I am gonna play. I was going to get Cubeman 2 on steam, but I can wait for a Wii U version! I'll eventually get these all but the ones I want the most are Cubemen 2 and Nihilumbra! And what did it mean by "Timed-exclusive release" at the end of the Armillo trailer? K Teslagrad and Armillo look pretty sweet. The others... I'll a it and see how they turn out. Nililumbra looks cool but I hate platformers where I have to stop all the time to change the environment. @epicdude12302 Means it's exclusive to Wii U... For a while. Probably 6 months. Teslagrad looks great. Can't wait for that one. Nihilumbra is one of the best things I've played on my iPhone. It's a no-brainer, buy it as soon as it's launched, guys. At least that's what I'm going to do. Teslagrad and stick it to the man day one for me . Also , WHERE IS BALLPOINT UNIVERSE ! it was supposed to release on the 18th and its nowhere to be found . Nihilumbra seems to be improved for Wii U, definitely the best version from the trailer. teslagrad and nihilumbra looks beautiful and amazing,cubemen 2 looks awesome i might get them all but those three im for sure getting when they come out. I might get them all after seeing those trailers. I am a fan of the bit style but it's nice to see some beautiful eshop games coming as well. Fortunately I don't care about exclusivity. And what's the alternative, every other system gets the game except Wii U? These games all look nice, Stick it to the Man almost looks and sounds like retail, and that's very nice to see after the 40mb Wiiware games. Nice to see NoA promoting these. @enphos Yeah, that is a little concerning as well. I'm looking forward to Bayonetta 2 though and I'm sure that will be out by the end of Summer. I hope so anyway..
Nintendo is using the strategy of "Starve the players of games so when we actually release one, it sells like wildfire." It feels like it anyway. Exclusivity doesn't make a game funner to play. And allowing indies to sell their games on Wii U does not somehow equate to Nintendo not taking their fans seriously. Quite the opposite actually. If they didn't take their fans seriously, they'd say the heck with indie games, who needs em and do VC only on the eShop. We WANT indie games, exclusive or not. You want exclusives? Nintendo's got em in spades- retail AND digital. What's wrong with getting some indie games too? A good game is a good game is a good game. I don't care if it's Wii U only or on 17 platforms. I own a Wii U, and a good game is ALWAYS welcome in my book. I'm thinking Nihilumbra and Teslagrad are gonna be day ones, with Armillo as a strong possible... Keep em comin' boys! Throw in Shovel Knight, Scram Kitty, Child of Light, NES Remix 2 and GBA VC (Metroid Fusion, Klonoa, Mario & Luigi: Superstar Saga) all coming in April, and it looks like I'll be putting these eShop dollars to good use! Ehhh... Nintendo is not trying to starve us of games. It's a fact that Nintendo is releasing just as many games each year as they always do. In fact, Wii U is getting substantially more 1st party releases than the Gamecube had. Times have changed. Most 3rd parties do major AAA now- the middle market is all but dead. And those same 3rd parties that used to support us with middle market games, have bowed out. That's your culprit right there. It's not Nintendo starving players. It's not Nintendo cutting back on the number of releases they do each year. It's lack of 3rd party middle market games. We never had the AAA. From what I can see Nintendo is in a jam trying to pump out games in overdrive to compensate for the 3rd party exodus. They're trying their best, but you can't expect them to fully fill that void themselves, try as they might. So can we accept the fact that 3rd parties are to blame for the lack of 3rd party middle market games? There's no shortage of 1st party content. We'll surpass the Gamecube's total number of 1st party games before this gen is even halfway over. We're not short of Nintendo games, we're short on 3rd party games. Something that Nintendo has no control over. They kept their word. They brought 3rd parties to the table and about 2 dozen AAA games were ported to Wii U its first year. Something which hadn't been done since the SNES era. But there comes a point where it's out of Nintendo's hands and it's up to the players to buy the games for the support to continue. That didn't happen unfortunately. Unnamed Exclusive (Being revealed in next month's issue ONM)- possibly new Devil's Third??? That's not counting anything Nintendo announces at E3, and they always announce something new at E3. If I had to guess, after Mario Kart in May, Smash Bros is coming in July, followed by Fast Racing Neo and Project Cars in August, with Yoshi's Yarn and Sonic Boom in September, Watch Dogs and Bayonetta in October, and Hyrule Warriors and Monolith Soft's X in November, with the unnamed exclusive coming somewhere in the 4th quarter. I actually like every trailer I saw here. Will most likely be grabbing them all. @JaxonH I think you've got that backwards. Bayonetta 2 is likely in August/September. Smash isn't coming until November, unless Sakurai decides to delay it into early 2015. Basically, don't expect any major 1st party game between Mario Kart in May and Bayonetta 2 in August/September, unless they're planning a Bayonetta 1 port for that period. Stick it to the Man looks like it could be great fun as well. @Dark-Link73 There will likely be some shovelwear Indie games but you would have to be a fool to dismiss such a huge part of the industry. I find it ironic how many people complain about console indie prices then site issues of price and release dates. PC games, often the day they come out, are available on torrent websites. Limbo, for instance, was being pirated the weekend it came out. When a developer doesn't have to worry about people screwing them over (on consoles), the price will likely be higher. Resources get tweaked here and there and licensing fees are always applicable. Also consider how the game is made. Even if it is a Wii U exclusive, the game is mostly done with PCs. If it's already done for PC, why wait to tweak the game for Wii U? Simple: no piracy on Wii U, so every person that plays the game on a console is money in their pockets, vs the PC crowd which is rife with illegally obtained software. Quoting humble bundles is also rather asinine. Really, someone pulling in over 20k a year can only afford to spend 5$ on a game? Please. Most people's monthly cell phone bill is 10-15x that amount. When we're talking about how few games there are to purchase (one decent game, two good ones and one great one per month is more than enough TV time for anyone..) and how little money people have for gaming, it makes me wonder if people are consumer junkies, cheap or just ignorant. I own a WiiU bought during one of the recent batch of offers online, specifically the one with Mario and Luigi for about 260. I like the system a lot, but it seems that it's going to become kind of an OUYA, it's great we have Indie support... but what about other mayor publishers... we are missing out on lots of great games. Nihilumbra and Teslagrad look like must buys. @ECMIM who cares whether a title is an exclusive or not? It's completely meaningless.... That is if you don't care about silly console wars. Sometimes I think people rather cheer on a platform holder like its a spectator sport than actually playing games. @fmfsony if you are buying Nintendo hardware to play 3rd party games, you will be severely disappointed. Buy Nintendo hardware for Nintendo games, buy 3rd party games on PC. @JaxonH I suppose I was being a bit extreme. I know Nintendo is doing good on the 1st party front.. it just seems we keep hearing about endless indies, but not a single release date. I'd like to believe X will release this year, but I'm having my doubts. I also wouldn't expect SSB until November. I just can't imagine that they will rush it in any way, shape or form. It's a game that needs more polish than any other. I do agree with you on the fact that there are probably unannounced games that will come this year. This is great I really can not wait for Armillo along with other great indie games like Shovel Knights, Ballpiont universe and ittle Dew. That's not a fair comparison in the least. Ooya is specifically Android based mobile games. That's it. The Wii U is a Nintendo console, one of the 3 major home consoles on the market, and like all Nintendo consoles, the bulk of the quality content is delivered by or through Nintendo themselves. For over 2 decades now, Nintendo has been supporting their consoles predominantly by themselves. Some generations get more 3rd party support than others, but when it DOES get 3rd party support, it's rarely AAA. I think Wii U got more AAA support than any Nintendo console since the early 90's. Nonetheless, the main appeal of the console is not indies, although they are a major plus and are serving to fill the void left by the death of the middle market. The main appeal of the Wii U, like it's predecessors, is through those games that have the Nintendo logo written in an oval stamped on the lower right hand corner of the case. Nintendoland, NSMBU, Pikmin 3, NSLU, Wonderful 101, Zelda Windwaker HD, Wii Party U, Wii Fit U, Mario & Sonic 2014 Sochi Olympics, Super Mario 3D World, DKC Tropical Freeze, and soon enough, Mario Kart 8. All exclusive to the console, all top notch quality. Diverse genres and broad appeal to both casual and core alike. We have had quite a bit of AAA support up until now, but do take note that those days are over. Still, you have access to any one of 2 dozen AAA games ported to the Wii U over the course of the first year, most of them critically acclaimed (no one bothers porting a game to Wii U unless it's good and will therefore have the greatest statistical chance of success). You will also notice that Nintendo collaborates with select 3rd parties to fund and publish their games for Wii U. Nintendo was responsible for Ninja Gaiden 3: Razor's Edge, the exclusive Lego City Undercover, the 2nd party gem Wonderful 101, they've worked with Capcom to ensure Monster Hunter 3 Ultimate was Nintendo exclusive, they are publishing Bayonetta 2, they are collaborating with Atlas to bring SMT x Fire Emblem, they are collaborating with Tecmo Koei to bring Hyrule Warriors, and rumor has it more deals are in the works. Some would point to the new Devils Third being funded by Nintendo to be published as a Wii U exclusive, although this is just a rumor. Nintendo consoles get far less total games released on their systems, but, they actually get just as many, if not more, critically acclaimed releases. For every AAA multiplat that hits other consoles, there's a Mario, a DKC, a Zelda, a Pikmin, a Smash, a Mario Kart, a new IP, a 3rd party exclusive, etc... Nintendo is alternative gaming. Wii U is the only console you can buy where you can still get a top-shelf gaming experience of some of the funnest games in the world with a catalog primarily consisting of exclusives. It's the OTHER side of gaming. The side that still focuses on gameplay rather than spectacle. Spectacle is great, but after a while it leaves a little something to be desired. And what is this gorgeous and interesting Nihilumbra that I for some reason hadn't previously heard of? Well, E3 is only like what, 75 days from now? Something like that? Take comfort in the fact we'll know everything by then. At the latest. But I am pleased with all the REALLY good indies we have coming. I used to ignore them totally, but now they're really stepping it up, it seems. @JaxonH I did not realize the number of games scheduled for 2014. However I would say that the schedule proposed is a bit optimistic. @IceClimbers is another good attempt, but I think it also is a bit optimistic. What I mean by optimistic is that both show a balance released schedule every month or so. I think the reason most if not all those games are saying 2014 is because they will sadly be released late Q3 or Q4 of 2014. But we will see at E3. Here is how I see it (as I read it from other articles about these games). September - Bayonetta 2 - "Later this year"
Project CARS - "Fall 2014"
September to November is a guess for me. The only ones I am more certain on are Watch Dogs, Hyrule Warriors and Smash Bros, but we will see. Hoping for in addition to all the announced big games and the great quality indie games we will hear soon about Miyamoto's new IP, if there are any other new IP in development and Retro Studio's new project(s). I would really love for Wii U to have a new Fatal Frame game, since the western countries were robbed of the magnificient Fatal Frame 4 that was only released in Japan, we should get a new Fatal Frame 5 game since Nintendo owns the rights to that franchise. Also a new Metroid game in the HD era for Wii U would be great, as would a 2D Metroid game for 3DS. Looking great. I'll eventually going to have to try these soon. too much indie.... i would love some good racing (gran turismo like...), action, strategy... but some indie games are quite okay... just as it is not 90% indie.. These all look appealing for various reasons. Exclusivity isn't something I care about: quality games is what I want to see. People who regard us as being in a drought would appear to have very narrow tastes because I'm still juggling games right now! @JaxonH That's what's making the lack of release dates even more of a hindrance, haha. The Indie games are actually looking decent. It's gonna be a good year for those. I'm looking forward to pretty much every one you mentioned. When I say I 'care' about exclusivity, what I really mean is that I wont be buying any Wii U games that I can get on my PC for cheaper, especially when its a lazy port. Which is a shame in a way because I haven't played anything on it since 3D World. 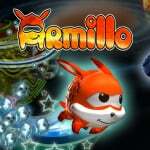 why does the armillo release date say 2/2014 when march is almost over? Also I thought it was coming may 12th? @AJWolfTill "There will likely be some shovelwear Indie games..."
"Some"!?!? The Google Play has reached 1,000,000 apps on July last year after only being open for five years. Now, let us be conservative and let us say that only 10% (or one out of ten) apps are games. That's 100,000 games in Google Play! I don't have all the numbers but I am sure that's more games than all the games the big developers have released in their lifetime! Now, let us look at the Wii. As of May 2013, the Wii had approximately 1,122 games. If we are again conservative in the calculations, let's say that only 20% of those games were top quality games and the rest were shovelware (224 vs 898), if we apply the same theoretical statistical ratio to my theoretical Google Play numbers, about 80k mobile games are shovelware! Now, I realize there are several variables to consider such as not all mobile games are Indie, the price range, target population, etc. But even if we take all the possible variables into consideration, we still end up with tens of thousands of Indie games that are shovelware. That's hardly considered "some" by any stretch of the imagination. I haven't even considered Apple's App Store in my theory. Does this mean we should "dismiss" Indie developers? Of course not! We should support them accordingly just as we support the big developers. But let's be realistic and stop praising Indie developers as if were gaming's saviors. People critique and judge big developers because they offer shovelware or mediocre games fort the sake of making a quick buck, what do everybody think most Indie developers do!?!? Make cheap mindless games for the sake of a quick buck! In retrospect, I was wrong when I said that Indie developers were going to be the shovelware of this generation... They already are.